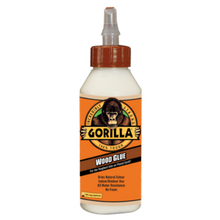 Our wood adhesives from Gorilla & Bostik are the adhesives that everyone in the woodworking industry trust for their projects. They are easy to use, water resistant products that can dry in a colour of your choice, depending on what finish you would like. They are high strength adhesives that are suitable for bonding a variety of timber flooring and wood products. If you aren't sure whether wood adhesives will work for you, then come into branch and we will help find the right product. Standard wood adhesive is used when you need time to get the angle right on the materials you are bonding. This is great for DIY-ers who need a bit of time to get it in place, or if you are looking for a stronger final bond strength. Instant bond means an instant bond! 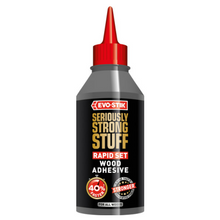 This adhesive is great for those jobs where you have no time, and it needs to happen now. Great to bond together a wide variety of materials.